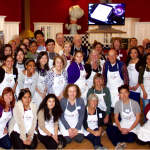 Over fifty mentors and mentees from the three Mountain View Los Altos district high schools shared a fun and interactive experience at Cucina Bambini Cooking School on Saturday, March 4. 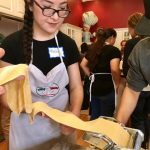 Each pair of mentors and mentees had a great time kneading dough made with egg and flour, then putting it through pasta machines to produce perfect fettuccini noodles. 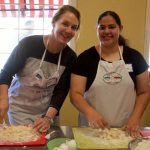 Then, one group of students learned how to dice tomatoes, garlic and onions to make a tantalizing tomato sauce, while another prepared a rich and creamy Alfredo sauce. Working together in teams, camaraderie developed and there was much laughter and excitement waiting for the delicious meal to cook. 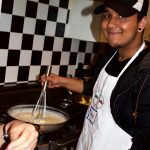 Many of the students had never cooked before and all were proud of the delicious results, some couldn’t believe they actually cooked the food! 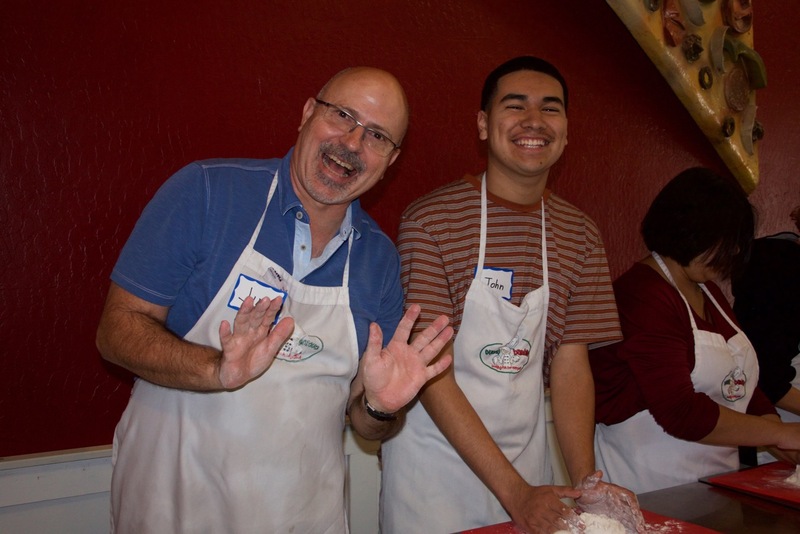 Making the pasta was great, but eating together and sharing the meal was priceless. One mentee observed, “It’s so special to eat together, we never do that at my house.” This was an unforgettable experience for all who participated. Oxytetracycline is used to generic levaquin treat acne due to its activity..